In 1949 it installed its first Hollerith punched card equipment, in 1959 it moved to a ‘plugged programme computer type 555 and by 1961 its equipment was ‘loaded to capacity’ so it ordered an ICT 1301 computer for delivery in 1964 - a three year delivery date. In 1966 the board agreed to hire an ICT computer with delivery in 1968. Obviously things were improving as this was only a two year wait! 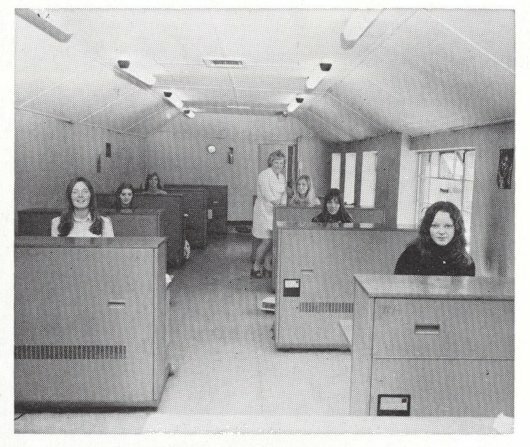 In 1982 we expanded our network when we introduced a new Honeywell DPS6, for the first time this system was linked to all the major works through leased telephone lines with mini computers in Bristol, Derrygreenagh and Boora. We proudly boasted that this system had 1,600 times the memory and 5,500 times the storage capacity of our first computer. This was probably cutting edge technology at the time but I suppose that nowadays the average smartphone has more computing power than any of the above.